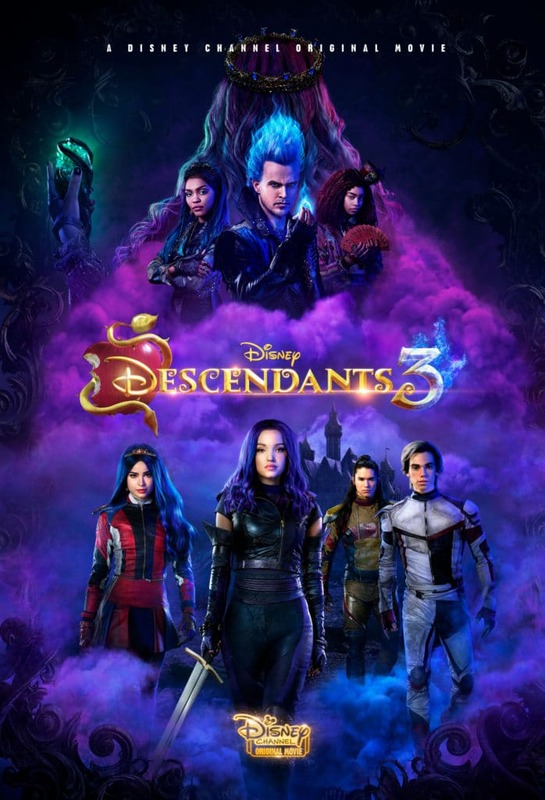 Are you excited about the new Descendants 3 movie? My kids love the Disney Channel movies. Descendants and ZOMBIES have been big hits in our house. We've watched Descendants 1 and 2 several times. The Descendants 2 soundtrack is regularly playing throughout the house on our Google Home. My daughter loves reading the Descendants graphic novels and she went as Mal for Halloween. Of course, I loved her choice since I'm a bit obsessed with Maleficent myself. So, when I saw the trailer for it dropped, I knew she'd want to see it. It looks like Mal will have to figure out how to save her friends! We're going to need to watch the Hercules movie and give Rissa a refresher on who Hades is since he's the villain in the upcoming Descendants 3 movie. This highly anticipated trequel continues the contemporary saga of good versus evil as the teenage daughters and sons of Disney’s most infamous villains-Mal, Evie, Carlos and Jay (also known as the villain kids or VKs)-return to the Isle of the Lost to recruit a new batch of villainous offspring to join them at Auradon Prep. When a barrier breach jeopardizes the safety of Auradon during their departure off the Isle, Mal resolves to permanently close the barrier, fearing that nemeses Uma and Hades will wreak vengeance on the kingdom. Are you looking forward to the Descendants 3 movie?